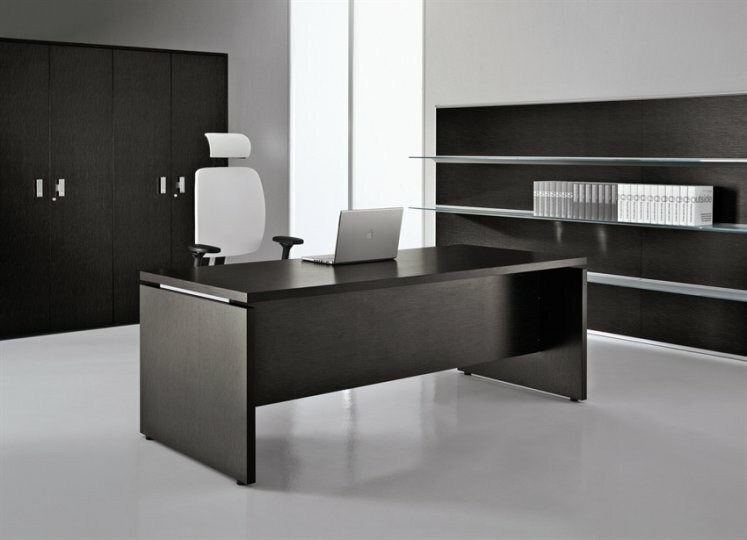 Contemporary executive office furniture with feature 38mm thick tops in modern executive finishes. Wenge, Canaletto Walnut and Light oak. This range combines a number of desk shapes and adjacent storage solutions, bookcases, meeting tables and modular storage options. 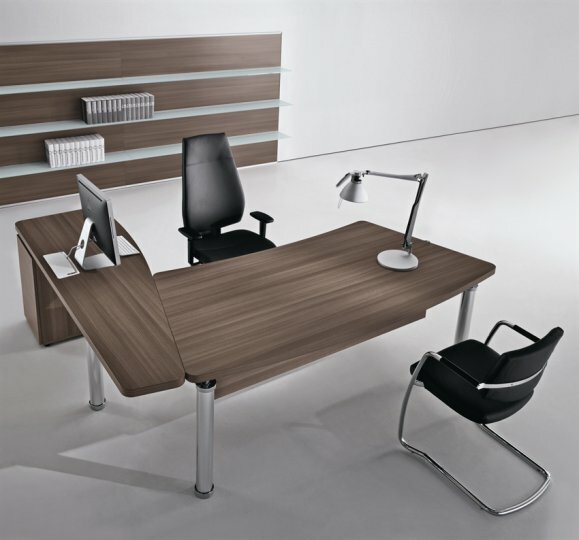 Executive desks have designer metal legs in an aluminium silver or chrome finish with top detailing. Studio executive furniture is manufactured in Italy to order in four weeks. We support this range with our free space planning and design service to help you make the best of the choices available within this range.